After several years in the making, the Havasu Riviera (or Havasu 280) is about to get underway! Nestled between Highway 95 and Lake Havasu and terraced above the shores of the lake it’s a project that will deliver all you expect from the Lake Havasu area and then some! The rugged beauty, the casual lifestyle and the flowing warm waters that make up Lake Havasu! We expect the project to have a huge economic impact for the city and state. 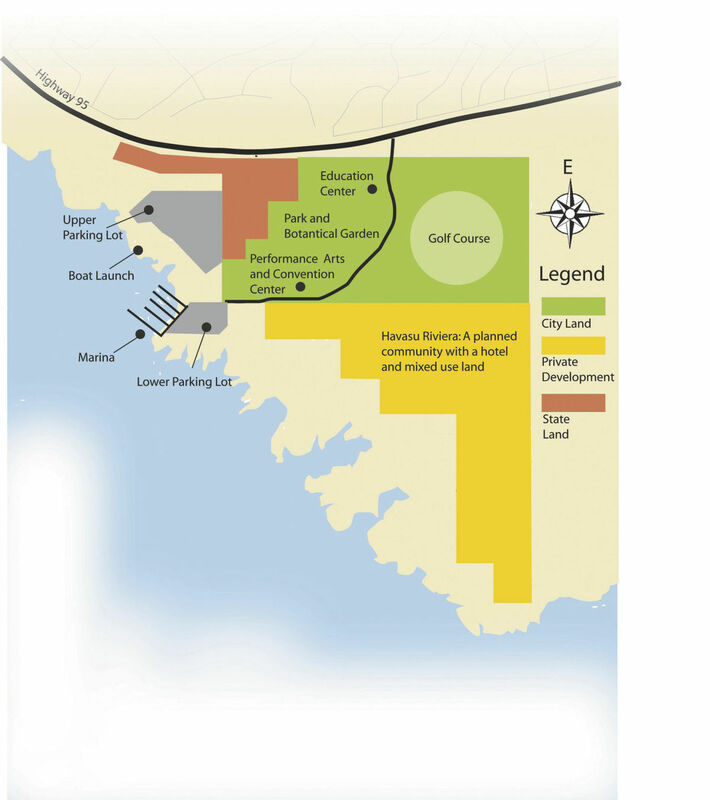 The Havasu Riviera and Havasu 280 project will envelop a total of 550 plus acres on the southside of Lake Havasu City. It will take over 10 yrs to complete the 3 different phases; groundbreaking is already complete with the start of the roadway construction. Contact Point Marina and boat launch is expected to be complete by 2020. The masterplanned community is designed to include residential units of mixed use with single family, condos, multi family zoning, a 300 unit resort hotel with dramatic lake and desert views, surrounded by natural open space featuring 2 miles of shoreline-fronting property. Residents and visitors will appreciate the new waterfront amenities and lake access including a marina, new 200 slip boat storage, dry storage facility, lakefront restaurant and bar and a much needed new 6 lane boat launch. 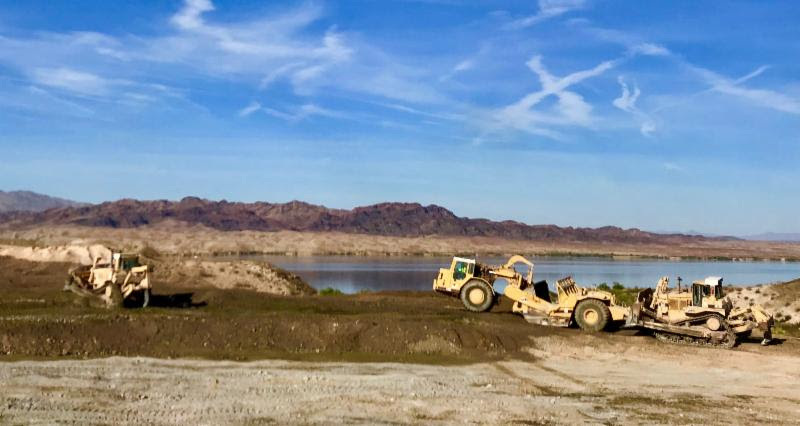 Future projects will feature fun and educational extras to the project including a botanical garden, golf course, trails, multi use paths , public parks and landscaping that will connect central Lake Havasu City to the Riviera and the lake. Also planned is a waterfront restaurant and bar. Havasu Riviera is a public/private venture between Lake Havasu AZ State Park and Komick Development. There are 3 phases to the project, which totals over 550 acres. A unique project for the Lake Havasu City area, the resort community is a residential project developed by Komick Development. The waterfront amenities of marina and boat launch are located at Contact Point, an AZ State Park public/private partnership. The rest of the project is also known as the Havasu 280, 280 acres of recreational and educational development. 12/12/16 Riviera from Desert Land Group on Vimeo. Vision 20/20 Lake Havasu City from Desert Land Group on Vimeo. 360 Panorama from Desert Land Group on Vimeo. Contact Point from Desert Land Group on Vimeo. 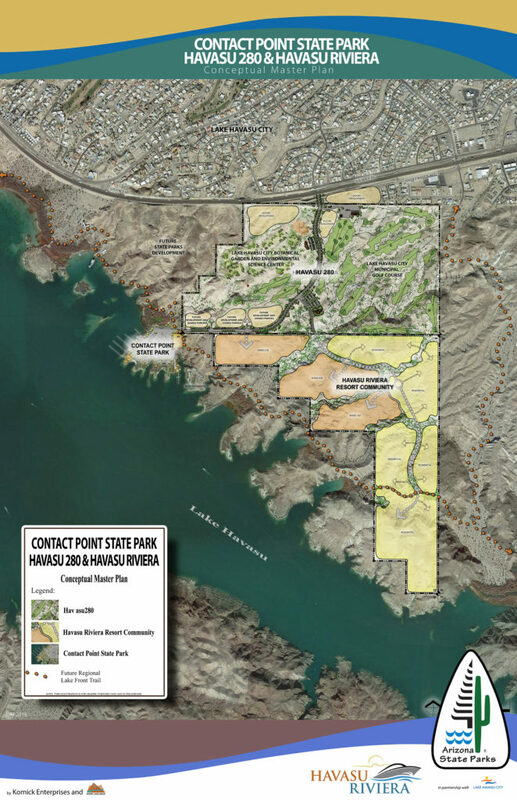 the Havasu Riviera Resort Community, Contact Point State Park and the 280 acres of public space – have all reported progress in the past quarter. The entire project is expected to be completed in phases over the next decade. botanical gardens, trails and a possible municipal golf course with the help of private partners. was then spent to grade a pad for the environmental learning center, City Manager Charlie Cassens said. According to budget projections, the city plans to spend $450,000 for a controlled intersection off of State Route 95 to open up the development to traffic. Cassens said the access road and intersection is projected to be completed early next year in line with when the marina is scheduled to open. Arizona State Parks Director Sue Black said her agency is expediting its commitment in the development to keep pace with the other partners involved. “It’s an aggressive schedule, but I appreciate their sense of urgency as opposed to some projects that can be lackadaisical,” she said. amenities as possible. State Parks is still deciding the logistics of how the marina will operate and any usage fees, she said. where the Western Arizona Law Enforcement Training Academy and Mohave County Sheriff’s boating units are currently housed. She said no final decisions have been made, but emphasized the importance of creating a cohesive shoreline. Development and Desert Land Group, the same parties behind Havasu’s Foothill Estates planned development. Michael Gorden of Desert Land group said the waiting list of interested home buyers has exceeded 200 – altogether the final design calls for as many as 750 homes or units. “We’re not at the point where we’re releasing lots or pricing information, but we’ve seen building interest and developing a marketing list,” Gorden said. development and there are talks with three other parties – two that are local – on a planned lakefront restaurant. Jim Komick of Komick Enterprises said he expects construction on some model reeidential units to be underway once the marina opens. “Everything’s progressing, and we’re pushing to get that road opened up by the first quarter of next year,” Komick said. Dust has been flying as the Havasu Riviera project slowly takes shape on the city’s Southside, and now there are some major architectural firms hoping to join in on the action. The Havasu Riviera project broke ground nearly a year ago. Work done so far has mostly been land grading as developers await permits and roadway construction, but there also has been some progress made in City Hall recently. City Manager Charlie Cassens said that on Monday he received information from about seven companies interested in planning the Eco-Environmental Learning Center, which will be located on the public portion of the Havasu Riviera development. The company will ultimately be responsible for determining the scope of the project and identifying key stakeholders and end users of the facility. The city will tap into a $400,000 portion of prize money won in the America’s Best Communities contest that’s been earmarked for this project. Cassens has explained previously that the learning center will be used as a water education and research facility focused on the Colorado River and Lake Havasu. Its mission is to educate the general public and students about how various water systems work, as well as provide a home base for water researchers interested in studying the area’s waters. The facility is expected to include laboratories, classrooms, office spaces, a botanical garden and a gift shop. In coming days, city staff will go over the stack of submittals they received. A company could be selected and negotiations wrapped up by the end of the month, Cassens said. A contract will then head to city council for final approval. Among the companies who expressed interest in the Environmental Learning Center is Havasu-based Selberg Associates Inc. The architecture firm designed the Havasu Fitness building, Acoma Business complex and Lake Havasu City Fire Station 1 near City Hall. Architect Paul Selberg said he wanted to be involved in the project because it not only falls in line with the work his firm does, but it could also improve the community. “The building will have some pretty high-tech uses that would need some people with considerable expertise. That could raise the bar for yearly salaries in the city and attract some younger people that are highly educated, which is much-needed here,” he said. The challenge, Selberg said, is in designing a multi-functional building that can suit the wide variety of ways it will be used, but that also makes the work more interesting. He estimates a project like this would require three or four of his employees to come up with designs and produce construction drawings. “The first thing we’d do is sit down and listen in depth about the building’s various uses and then work on how those uses will impact the appearance of the building. So, we try not to have any preconceived ideas of what the building will look like until we can talk to everyone involved,” he said. 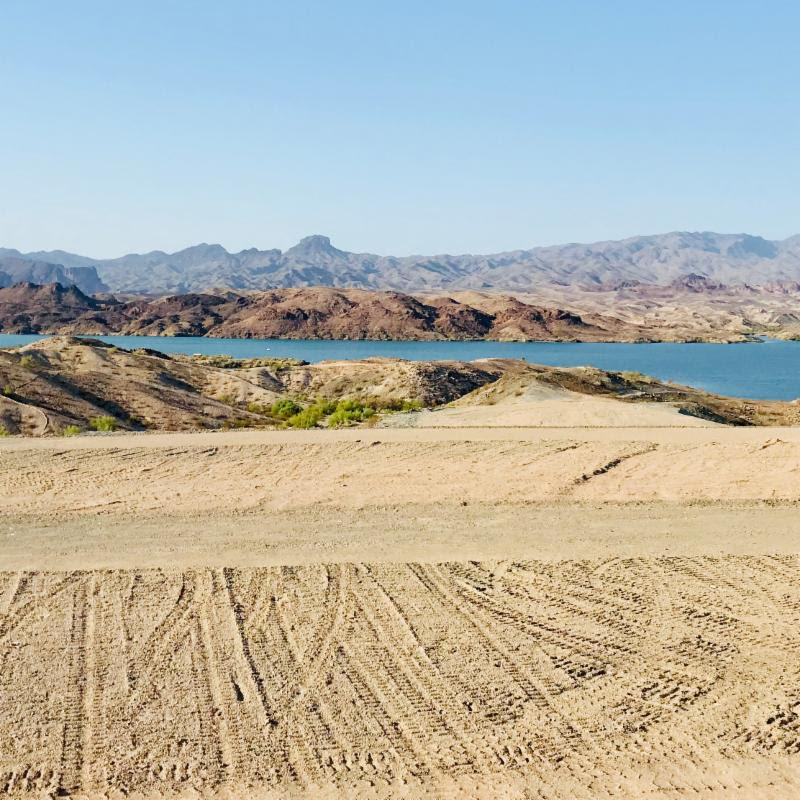 With their permit in hand, developers can now get to work on the mainland marina located within the Havasu Riviera project, anticipated to be ready by next summer. Work is expected to begin soon as crews now can begin the first step of installing the launch ramp. Once complete, the marina will feature 200 boat slips, a dry storage facility for 300 boats and a six-lane boat launch with adjacent parking, according to information from Desert Land Group. The permit, which was granted by the Army Corps of Engineers last week was the final piece developers were waiting on to begin work on the marina. Despite a delay in the permitting process, developer Jim Komick stated it would not affect the future marina and state park’s opening next summer because a city road – Havasu Riviera Parkway – needed to be complete first. Grading for the roadway was completed this year and will also mean a new signaled intersection on State Route 95. The traffic signal is being required by the Arizona Department of Transportation before any vertical development can be done within the Havasu Riviera, according to City Manager Charlie Cassens. As they waited for the permit, Komick said crews began grading 25 acres of a private residential portion of the Havasu Riviera project. The total residential space will span 250 acres. Those crews will now move over to the waterfront and begin grading the marina site, he stated. Developers also have been in talks with a number of hotel developers and operators interested in a luxury resort expected to also be part of the Havasu Riviera project. Komick stated they are presently in discussion with “national brand operators” and looking at a three to four-story hotel development. According to Komick, they’re also working with “a number of local guys” on a future waterfront restaurant and bar located near the marina and launch ramp. “The marina restaurant (and) bar discussions are moving forward and (I) would plan to see an announcement after the first of the year,” he wrote in an email. Today’s News-Herald reporter Chelsea Curtis contributed to this story. Happy New Year to you and yours from those of us at Desert Land Group and Havasu Riviera! As we approach the end of the year, we want to take the opportunity to share our progress over the past few months. We are excited to report that construction of Havasu Riviera's residential community officially kicked off in full force in November! Progress has continued every day with detailed planning, engineering and construction. Recently, the project received its final US Corps of Engineers permit for construction of the marina, boat ramp and docks. 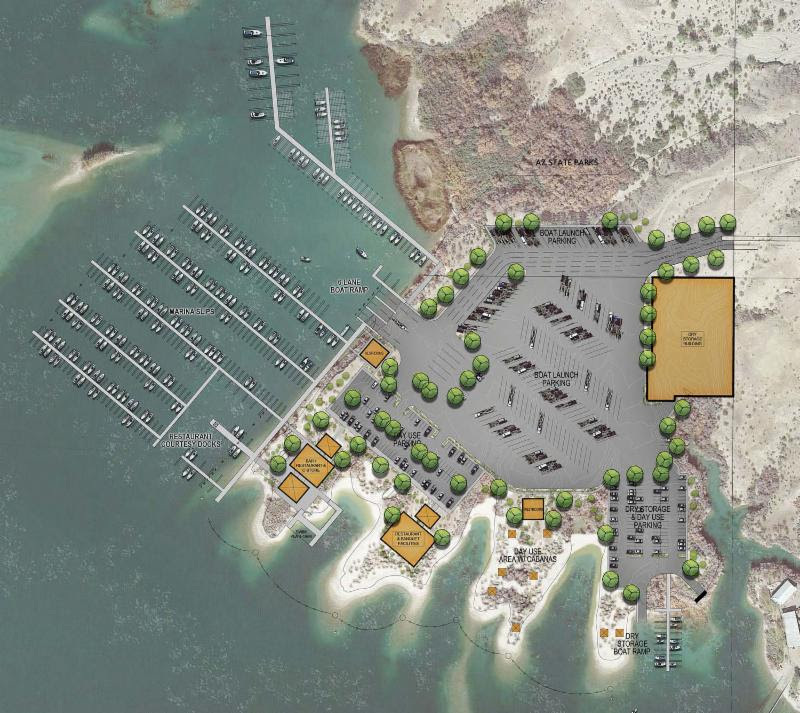 Watch for an update on the groundbreaking of Havasu Riviera State Park and Marina in early January! Below is video link showing construction progress in December, as well as a link to the recent Today's News Herald article, about the project. As always, please don't hesitate to contact us directly with any questions. We will continue to share updates and information as the project progresses via email and through social media. Thank you for your ongoing support and interest! 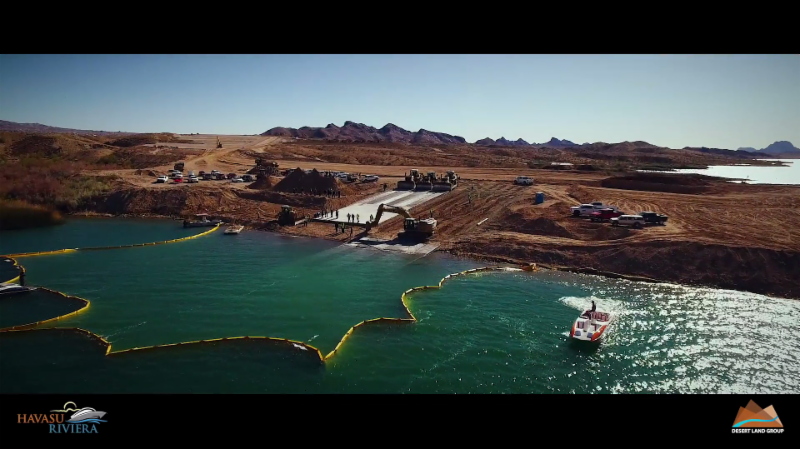 Havasu Riviera State Park - Boat Ramp Installation! the dream of a new launch ramp and marina for Lake Havasu City became a reality as the first step in the process was completed. As site work and grading continued, last week the 6-lane boat ramp was poured and on Tuesday it was launched into the lake! Below is a link to a video of the boat ramp installation and another from the pouring of the ramp the week prior. For all official information regarding the Havasu Riviera Resort Community and Havasu Riviera State Park please contact us directly. We will continue to share updates and information as the project progresses via email and through social media. Thank you for your ongoing support and interest! Having concrete poured for Havasu Riviera Arizona State Park’s new launch ramp Friday was a major milestone for project developers. 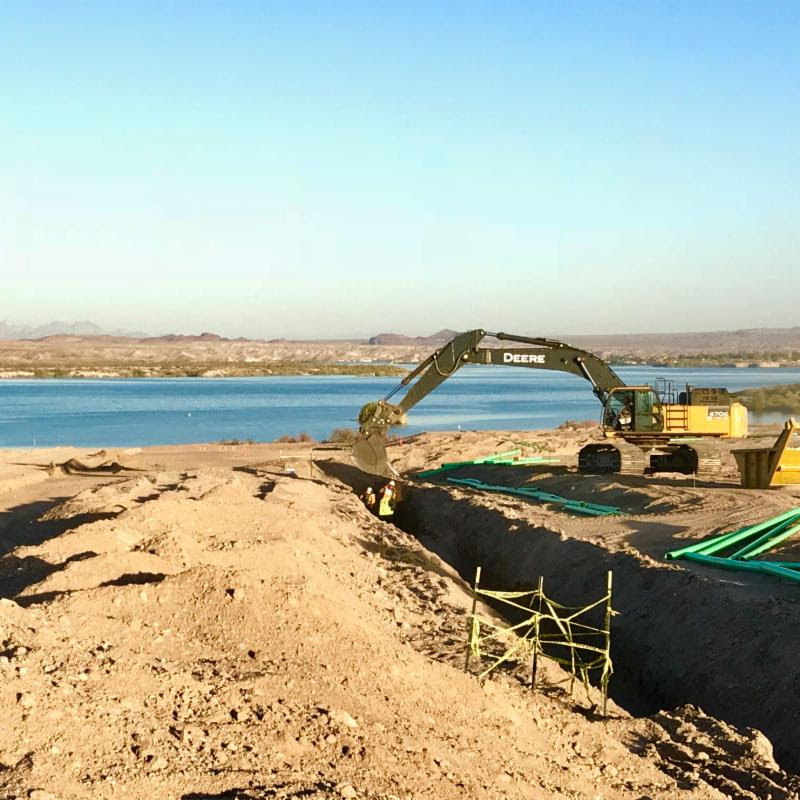 The concrete is the first of many structures to be built within the Havasu Riviera project, and will initially be constructed on land and then pushed into Lake Havasu within the next couple weeks. Initially, the marina was anticipated to open by this summer. However, because construction for a new city road leading to the state park was put to a standstill due to financial challenges, it may not open until early-fall, said Gorden. Bids for the construction of Havasu Riviera Parkway exceeded the city’s approximately $3.5 million budgeted for the project and an engineer’s advertised estimated cost of approximately $4.5 million. By looking to defer existing projects to next year, among other tactics, the city hopes to acquire enough funding to award a construction bid for the road later this month. Labor Day weekend is upon us and we've been making significant progress at Havasu Riviera. Havasu Riviera Parkway construction efforts have been in full swing with the ongoing installation of water, sewer and other roadway infrastructure. Construction on the new intersection and traffic signal on Highway 95 will begin in September. Grading efforts on the first neighborhood, Marina View, are complete and infrastructure and roadways will be completed this fall. Additionally, grading efforts have continued further into the community, preparing more neighborhoods for infrastructure installation. If you’re on the lake this weekend, you can get a peak of the activity from the water. As the infrastructure and roadways get a little further along we’ll start giving tours of the project. We're excited to introduce this amazing community to you soon. Thank you for your continued interest and patience as we work through all of the construction efforts. All good things take time! Have a wonderful and safe holiday weekend! For all official information regarding the Havasu Riviera Resort Community and Havasu Riviera State Park please contact us directly. We will continue to share updates and information as the project progresses via email and through social media. Thank you for your ongoing support and interest! Mass grading of view lots in Marina View is complete and the next two neighborhoods are taking shape. The variety of views being created is spectacular! Installation of water and sewer infrastructure on Havasu Riviera Parkway adjacent to the community leading to Havasu Riviera State Park. Residential single family home lots graded in Marina View @ Havasu Riviera are ready for infrastructure and vertical construction.